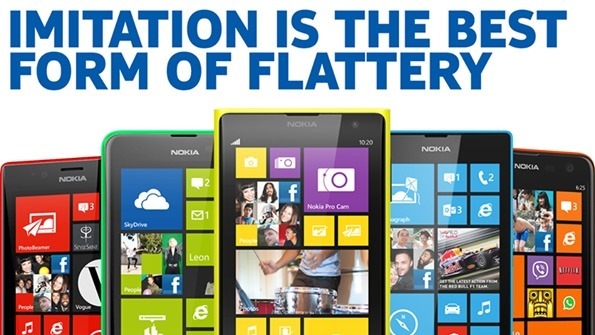 I like what Nokia is doing, messaging-wise. But this doesn't go far enough. The iPhone 5C is outright design theft, minus the utility of being able to remove the color back and replace it with either a different color back or, in some cases, a different color back that also adds additional capabilities like wireless charging; these are features offered by various Lumia handsets. 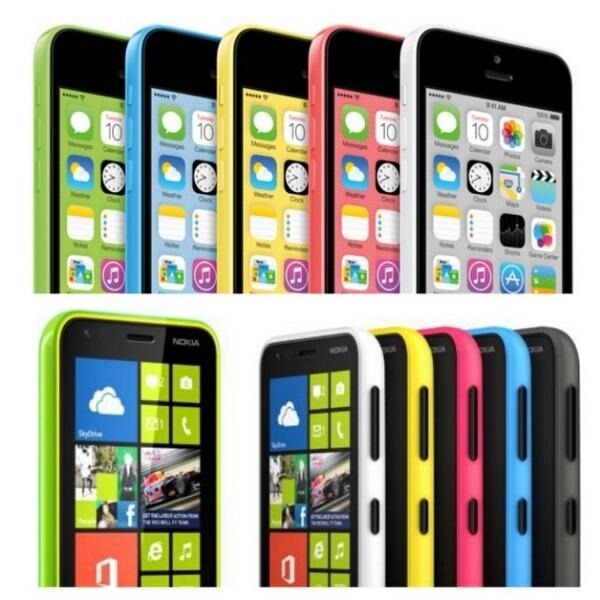 With the iPhone 5C Apple may well have created what will prove to be the most popular smartphone in the world, based almost entirely on year-old technology, distinguished only by its colorful plastic casing — yet still sold at premium prices compared to the rest of the industry. Not bad. This is good for Apple, but not the consumer, right? Then there is iOS7 itself. Let me be officially on the record by saying that I think iOS 7 is a genuinely pristine paint job for iPhones and iPads alike. However, it clearly mimics the best parts of the "metro design" feel in a perfectly Apple centric way, and I think once people get past the initial shock, it will be an absolute hit! iOS 6 officially looks awful. My read on this statement is that Apple has no corporate driven need or desire to serve emerging markets. 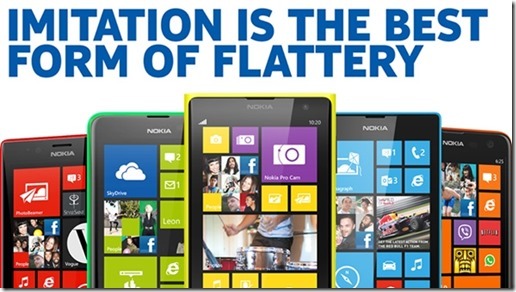 If an emerging market needs a phone there is a plethora of "junk" ready to serve them. I know most of this post ignores the fact that Android outsells iPhone by a very wide margin but you have to just look at the profits to see who is really winning the war. So short of a fundamentally different product that challenges the notion of smart phones (think PC to Tablet relationship) a few alternate cosmetic design decisions by its competitors will not be enough to offset this balance in any meaningful way. Smartphones with a better cost/value proposition can continue to innovate but that can easily be absorbed by iOS. At this point the damage is done and the rules are set, you cannot beat Apple in the smartphone game by attempting to change the color of the uniforms. Your best bet is to build a new stadium and invent a new game.